Mumbai (India) – May 27, 2018 (travelindex.com) – The Indian Hotels Company Limited (IHCL), the leading hospitality company in South Asia has won the Gallup Great Workplace Award for the seventh time, making its way to the top spot among some of the world’s leading organizations across industries. The award reiterates how IHCL has carved a niche for itself as a workplace with progressive policies aimed at better empowering and enabling its employees. The Gallup Great Workplace Award recognizes organizations for their extraordinary ability to create engaging workplace cultures while demonstrating high levels of involvement and success for business outcomes. A panel of Gallup workplace experts evaluates applicants and assesses them against criteria such as strategy and leadership; accountability and performance; communication and knowledge management; development and ongoing learning. The top organizations selected by the most comprehensive workplace study ever conducted gain entry into an elite group of companies that have received the Gallup Great Workplace Award. The Indian Hotels Company Limited (IHCL) and its subsidiaries, bring together a group of brands and businesses that offer a fusion of warm Indian hospitality and world-class service. 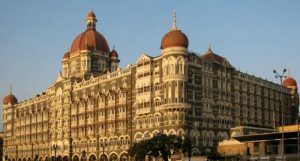 Incorporated by the founder of the Tata Group, Jamsetji Tata, the Company opened its first hotel – the Taj Mahal Palace, in Bombay in 1903. IHCL has a portfolio of 165 hotels including 20 under development globally across 4 continents, 12 countries and in over 80 locations.